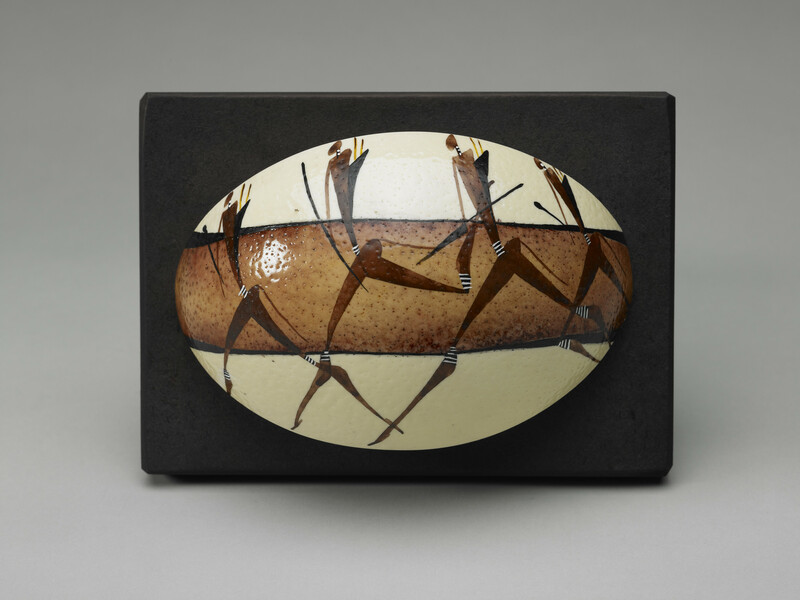 Pair of cut ostrich shells in the shape of an African shield, hand painted with images of pre-historic men hunting. This is made from a section, about a quarter, of an ostrich's egg. The San (Bushmen) are the First Nation of southern Africa, today being parts of Botswana, Namibia, Angola, Zambia, Zimbabwe, Lesotho and South Africa. Their art is the oldest known human art.